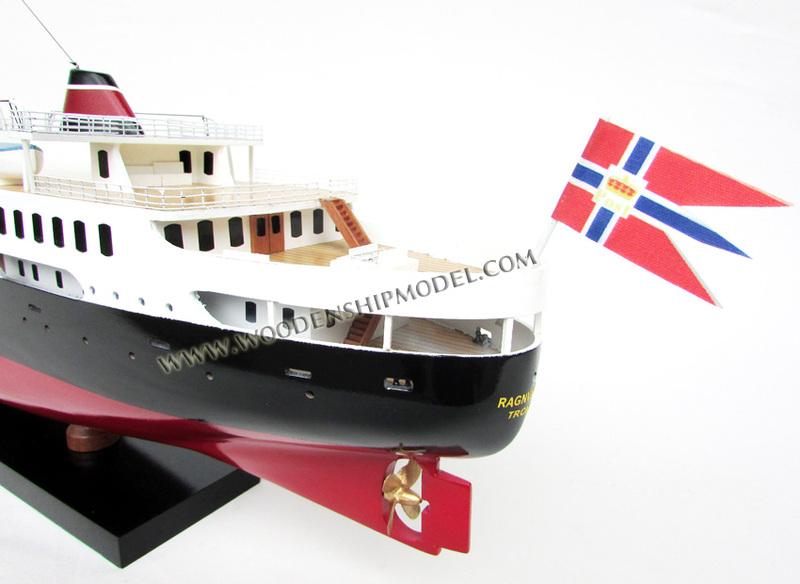 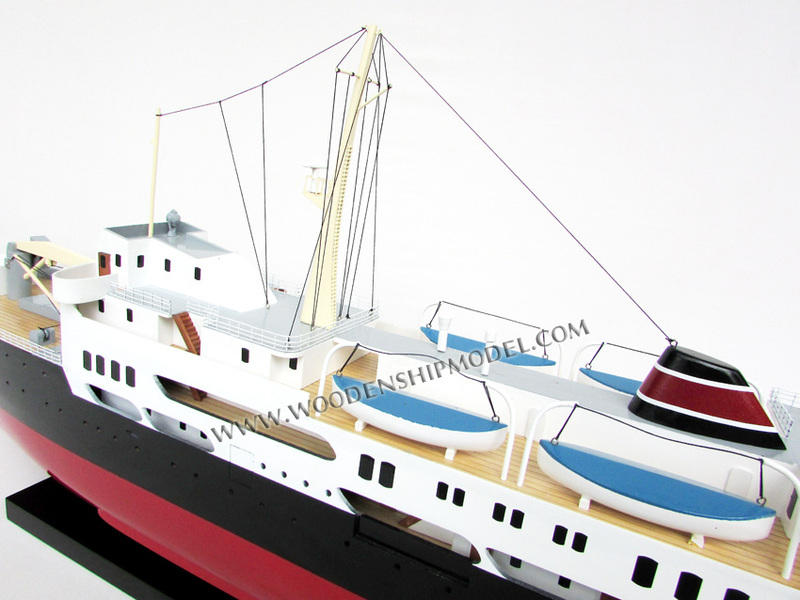 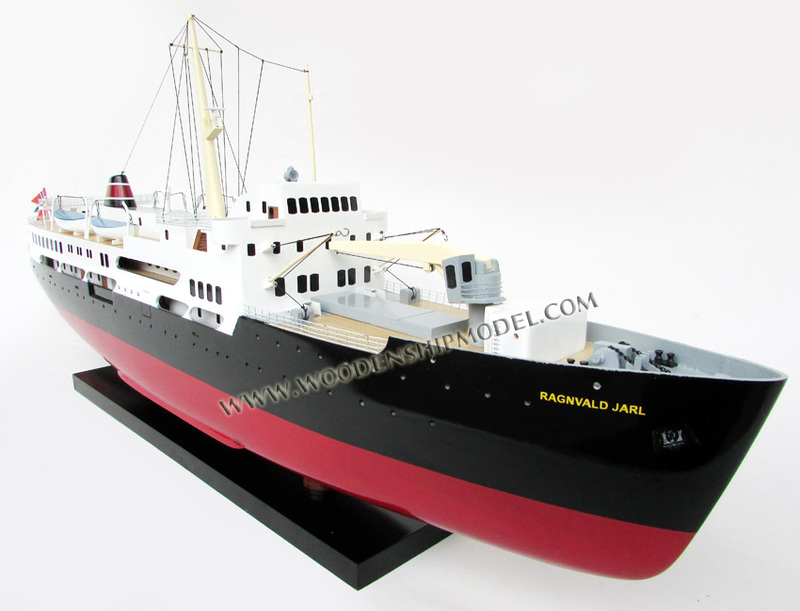 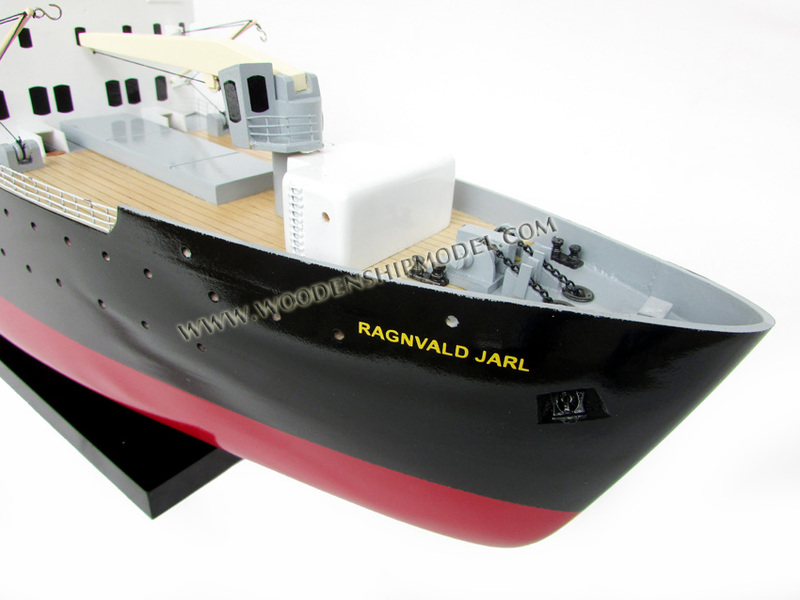 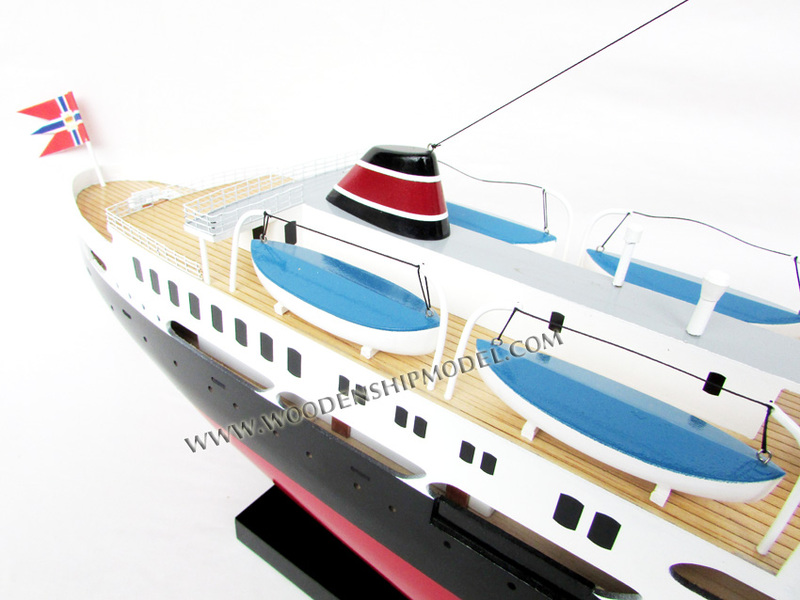 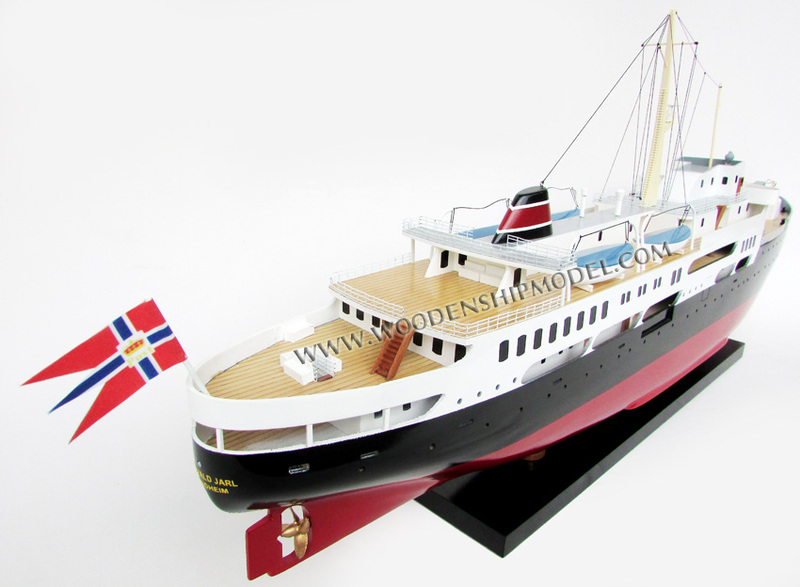 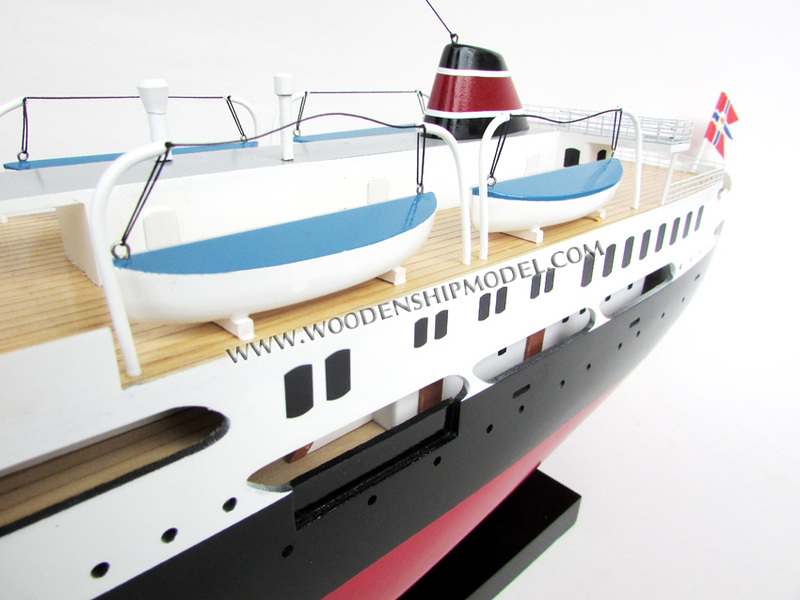 Our model is hand-crafted from hard wood with planks on frame construction and painted as the real ship. 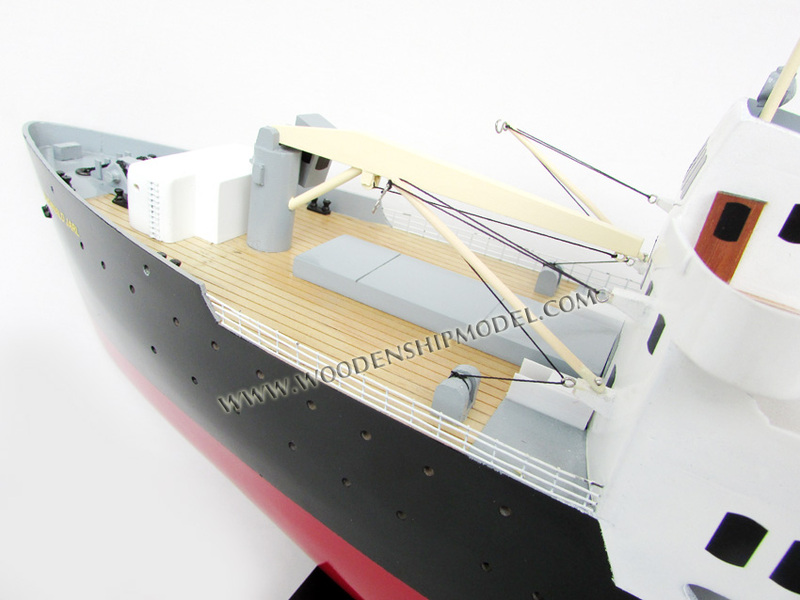 This model scale 1:100 is not a kit and ready for display. 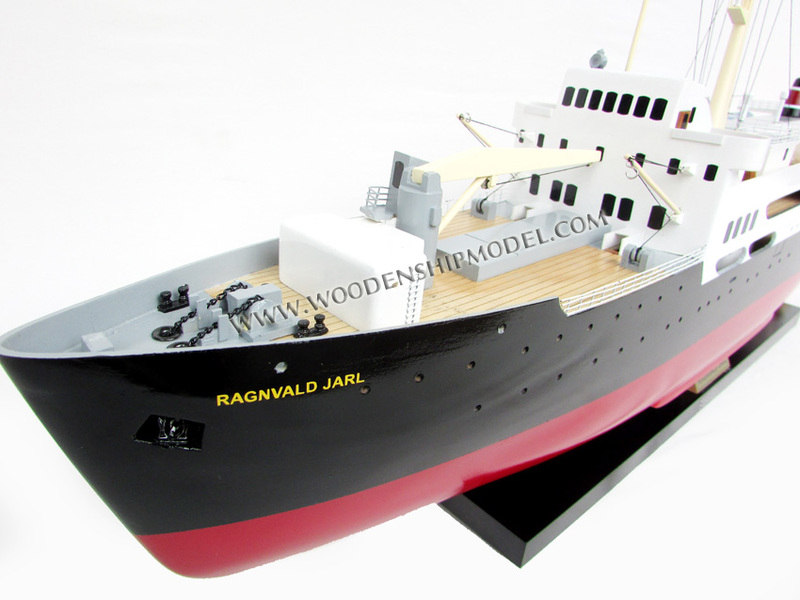 MS Ragnvald Jarl, now MS Sjøkurs, is a former Hurtigruten vessels which were delivered to the ship owner, The Nordenfjeldske steamship in July 1956. 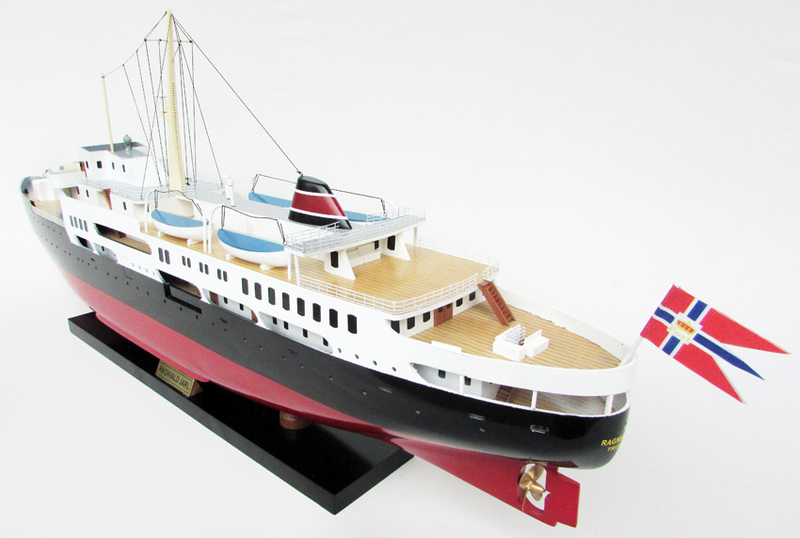 The ship was built by the German shipyard Blohm & Voss in Hamburg and went on fixed routes as Hurtigruten in the period 1956 to 1995. 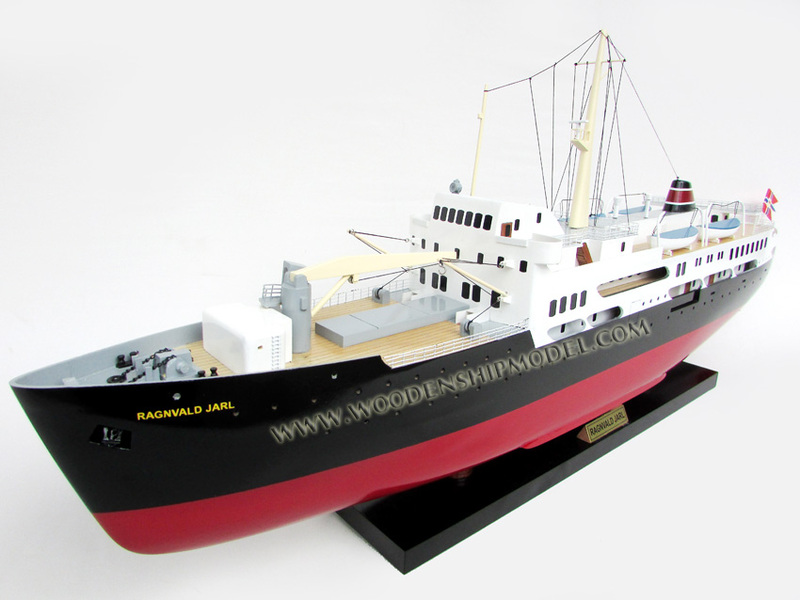 In 1996, it was changed the ship's name to MS Gann and was used as a training ship of Rogaland secondary sjøaspirantskole. 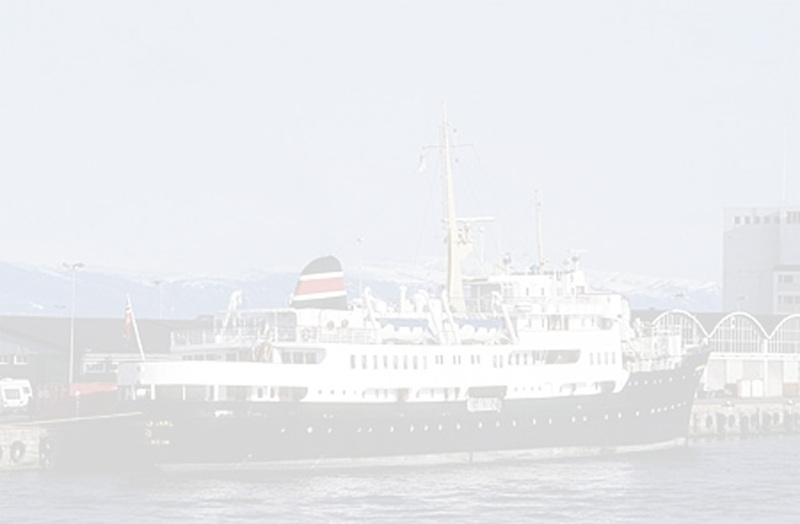 In 2007 she was bought by Sørlandets Mariners Skoleskibs Institution and received its present name Sjøkurs and used as a training ship at Sørlandets maritime high school in Kristiansand since 2013.